Ladies, if you want skin that naturally glows and looks like it’s full of life, you need to take proper care of it. We’re going to let you in on a secret skin food that is full of surprising beauty benefits and also happens to be the fountain of youth. We’re talking about pumpkin! 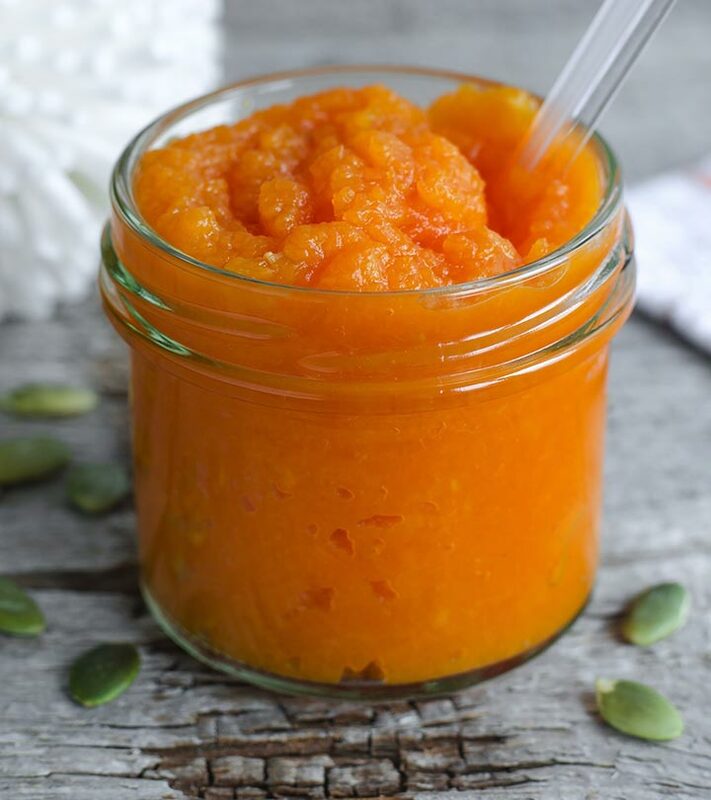 The next time you buy a pumpkin, don’t just eat it, reserve some for a DIY pumpkin facial mask. Pumpkins contain retinoic acid, antioxidants, beta-carotene, and vitamins A, C, and E that you find in the most expensive skin care products. If you want to know how you can use this underrated vegetable to reap all its benefits, read on to find out more. Step 1: In an empty bowl, mix the pumpkin puree with a teaspoon of raw honey. Step 2: Add some nutmeg powder to this mixture and mix well. Step 3: Add a teaspoon of apple cider vinegar and blend all the ingredients until you achieve a semi-thick consistency. Step 4: Apply this mask to freshly cleansed skin and leave it on for 20 minutes. 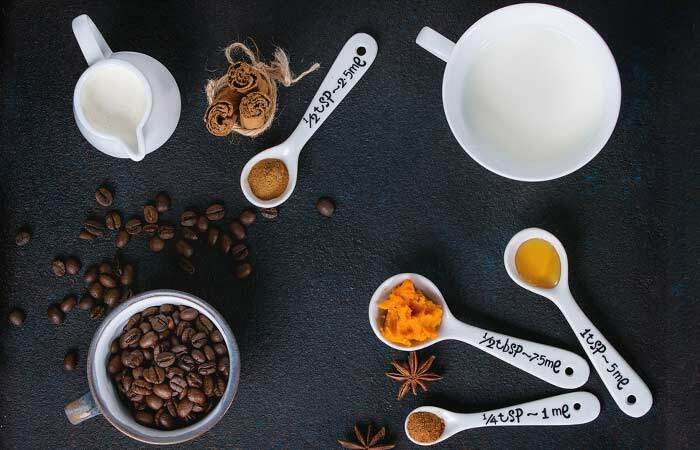 When you combine the natural fruit enzymes and alpha hydroxy acids (AHAs) in the pumpkin with nutmeg, ACV, and raw honey – the results are brilliant. You get a fantastic trio of brightening, lightning, and clarifying benefits. This mask will help make your skin softer and boost collagen production to prevent the signs of aging. Step 1: Beat an egg and mix it with fresh pumpkin puree. Step 2: Add two teaspoons of raw honey and blend the ingredients. Step 3: Add a few drops of frankincense essential oil to this mixture. Step 4: Apply this mask to clean skin and leave it on for 15 to 20 minutes. Raw honey moisturizes your skin and lightens stubborn dark spots. Frankincense essential oil acts as an astringent that minimizes the appearance of large pores and also reduces acne. Eggs nourish, hydrate, and moisturize dull skin. So, if you have dry, flaky skin, egg yolk is a wonderful ingredient to add in a face mask. If you have oily skin, only add the egg white to this mask. Step 1: Add fresh pumpkin puree to a bowl and mix some glycolic acid into it. Step 2: Add one-fourth teaspoon of fresh nutmeg to this mixture and mix the ingredients. Step 3: Apply the mask to clean skin and leave it on for 15 minutes. If your skin needs gentle yet effective exfoliation, glycolic acid is your holy grail ingredient. It treats skin discoloration, dark spots, and the signs of aging with ease. When combined with pumpkin puree, this mask will leave your skin looking instantly brighter and refreshed. Step 1: Mix the pumpkin puree with the finely ground walnuts in a glass bowl. Step 2: Add raw honey and Greek yogurt to this mix. Step 3: Sprinkle in the cinnamon powder and mix all the ingredients. Step 4: Apply this scrub to damp skin in a circular motion. Leave it on for 5 to 10 minutes. Step 5: Rinse it off with cold water. 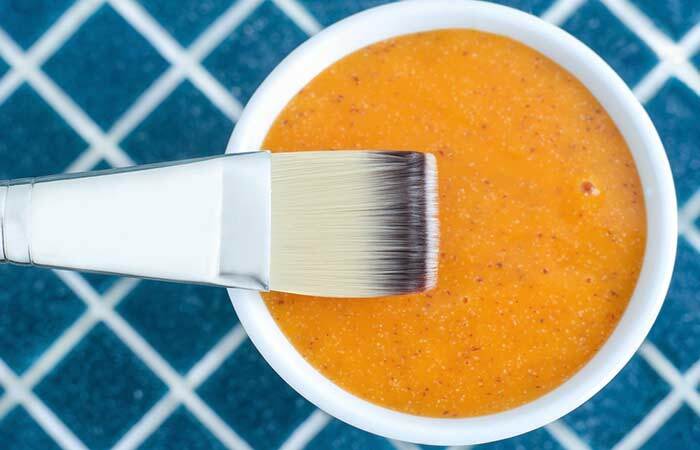 The enzymes and vitamins in pumpkin, combined with walnut powder and yogurt, help scrub away dead skin cells to reveal fresh skin underneath. Honey acts as a natural humectant and draws moisture to your skin while blessing your skin with its antimicrobial properties (which means lesser breakouts). Step 1: Mix the pumpkin puree and bentonite clay. Step 2: Add raw honey to the mixture and blend well to form a paste. Step 3: Add a pinch of cinnamon to the mask. Step 4: Apply on cleansed skin and leave it on for 5 minutes before washing. Bentonite clay is naturally soothing and helps get rid of dead skin cells from the surface of your skin. Honey leaves your skin feeling softer and nourished. Cinnamon is a great way to prevent acne and pimples as it gets rid of acne-causing bacteria. However, if you have sensitive skin, we recommend skipping the cinnamon. Step 1: Mix the pureed pumpkin with ground coffee beans. Step 2: Add yogurt and honey to this mix and blend all the ingredients. Step 3: Gently massage your face with this mask and leave it on for 10 minutes. Fresh coffee grounds work as a natural exfoliant to instantly de-puff and rejuvenate your skin. The lactic acid in yogurt helps you get rid of dead skin cells. 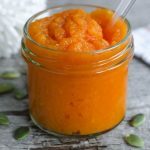 Since pumpkin is an all-natural ingredient, there aren’t many specific precautions that you need to take while using it on your skin. However, if you are allergic to pumpkin, do a patch test on the back of your hand before you apply the mask on your face. 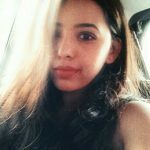 Here are a few more tips to help you. If you are storing your DIY pumpkin face mask in the refrigerator, make sure you use it up within a week’s time. If you have combination skin, you can try multi-masking by using different pumpkin face mask recipes on different areas of your face. 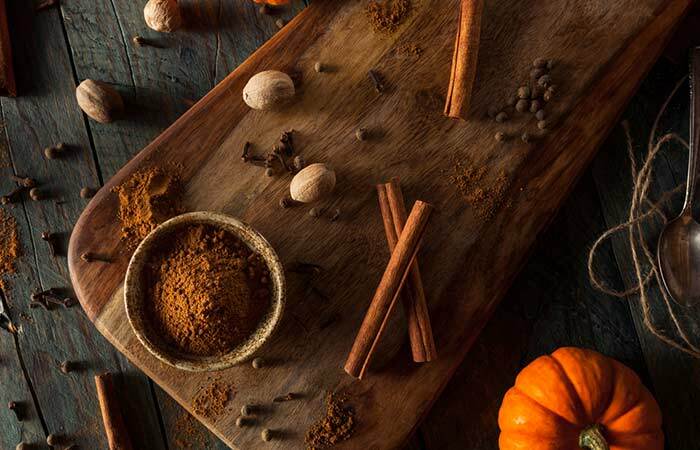 Pumpkin and cinnamon work well together to get rid of clogged pores, blackheads, and whiteheads. However, using cinnamon on broken or sensitive skin is a terrible idea. Pumpkin is crazy good for you. 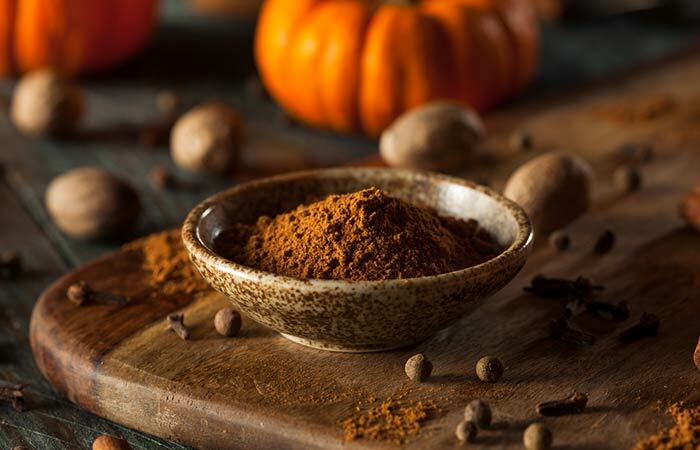 This seasonal superfood will do wonders for your health and skin, so you might as well take full advantage of it by incorporating it into your skin care regimen. That was our take on quick and easy DIY pumpkin facial recipes. 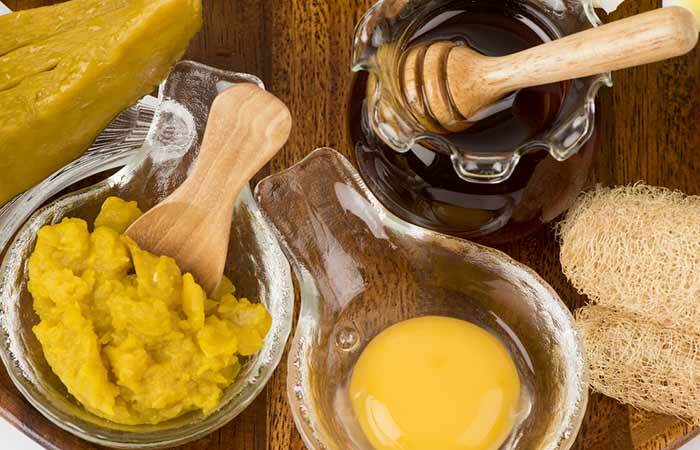 We hope this article helps you find the perfect DIY face mask for your skin. Which one are you looking forward to trying? Let us know in the comments section below.